Apple cider vinegar otherwise known as ACV has been used historically as a health tonic to treat wounds, diabetes, high fever, weight problems and much more. In fact Hippocrates, the “father of medicine” regularly used ACV as a cleansing and healing agent. Natural Apple Cider Vinegar is made from fresh, crushed, organically grown apples that has been fermented in tanks. When mature, it contains a “web-like” substance called a “mother” which is made from the naturally occurring pectin and apple residue. This “mother” contains many minerals and enzymes that is often not present in processed vinegars. There are many claims about the miraculous healing properties of ACV but very little science to back it up. The big players in ACV which drive a lot of the impressive actions are its acetic acid and phytochemical (antioxidant) content. While there is not a lot of solid research done on humans I still think it warrants space in your pantry and in your life. Type 2 Diabetes: Apple cider vinegar added to meals has the ability to reduce the digestion of complex carbohydrates. Preventing at least some of the starch from being digested and raising your blood sugar levels. It is thought that it’s anti-glycemic and blood sugar favourable properties are due to its acetic acid content. Making ACV fabulous for prevention and treatment of type 2 diabetes. In fact the physiological effects of vinegar are similar to the drug commonly prescribed for treatment of Type 2 Diabetes, Metformin. 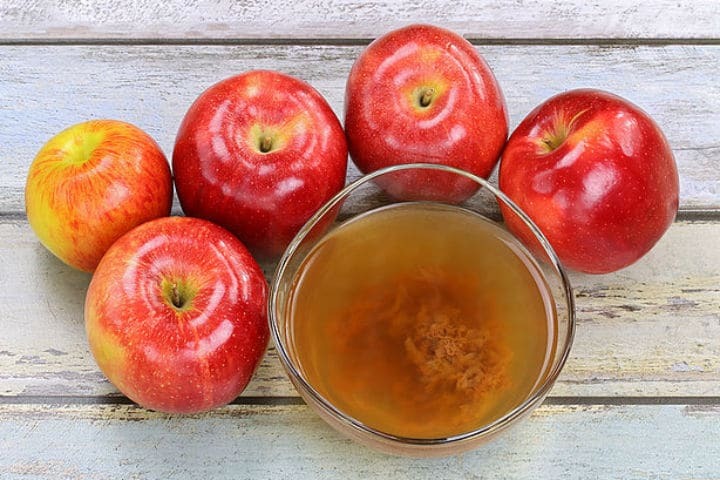 Cholesterol lowering effect: ACV improves heart health by lowering total cholesterol, triglycerides and the dangerous form of cholesterol, very low-density lipoproteins (VLDL) which is often linked to risk of heart attack. Blood pressure: ACV is a valuable companion to those with high blood pressure as regular consumption has been shown to reduce the blood pressure in mice. Weight loss: Apple cider vinegar has been used in weight loss protocols for many years. Studies have shown that consuming ACV before a meal reduces the need to overeat as it improves satiety, that sense of being full. It is also an amazing digestive aid and let’s not forget point 1 and it’s ability to support a healthy blood sugar balance. Reflux, Heartburn and Digestion: Contrary to popular belief, acid reflux typically occurs from having too little stomach acid. ACV is a simple and effective way to improve the acid content of your stomach, reduce reflux symptoms and help you break down food better. It is also thought that drinking ACV before meals can improve your ability to absorb important minerals from the foods you eat. Cancer: Impaired digestion and bacterial and parasitic infections are common in cancer. 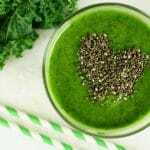 It is therefore important to cleanse the digestive and excretory systems. While there is little research on the use of ACV in cancer, ACV is a valuable food to include because of it’s “sanitising” effect on the gut and it’s overall effect on all body systems. As a digestive health drink; especially if constipated or have reflux. Dilute 1 tbsp in 200ml of warm or room temperature water and have daily or take 1 tbsp 10-20 minutes before meals. In salad dressings with healthy oils, herbs, spices, pepper and pink Himalayan rock salt. In sauces, mustards and dips. Homemade Dijon mustard and Coriander sauce. To help ferment gut loving vegetables such as sauerkraut. To tenderise beef, lamb, chicken and other meat in slow cooking. In bone broths to leech all of the amazing, gut loving minerals out of the bones. Always dilute ACV in water or fresh juice before consuming. ACV is highly acidic so having it pure and undiluted can damage the enamel of your teeth, throat and tissues in your mouth. One isolated study has shown that long-term excessive use could lower potassium levels and bone density. Look for raw, organic, unfiltered, unpasteurised ACV which contains the “mother”. This ensures that it still has the beneficial probiotics, minerals and enzymes. Ideally the ACV should look cloudy. My favourite brands are Braggs and Honest to Goodness. By now you would have established that I am a HUGE fan of the humble ACV. It will continue to have a place on my shelf, an entire 5 litre shrine in fact. I recommend ACV to patients and use ACV daily, wherever I would normal vinegar and as a digestive aid to cut through sluggish bowel movements. I am more than happy to continue the legacy of Hippocrates and use this exceptional liquid medicinally. I just hope that more studies are carried out on ACV to give it the credit it so rightfully deserves. Simply mix it all together and drink once a day on an empty stomach first thing in the morning, or 1/2 hour before meals. Learn more about the amazing properties of our L-Glutamine HERE . This article is brought to you by Lynda Griparic. 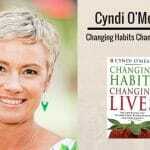 She is a qualified Naturopath, Nutritionist, Writer and Speaker with over 14 years of experience in the health industry. Lynda specialises in gut health and weight loss. She has extensive experience in running healthy, effective and sustainable weight loss programs and has expertise in investigating and treating the underlying causes of weight gain, metabolic problems and gut disturbance. You can connect with Lynda here. I plan on starting the ACV, L-Glutamine water first thing in the morning.